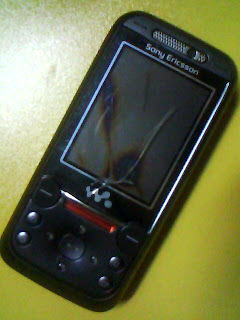 huwaaaaaaaaaaaaa.... my handphone died already..
i've bought it in June 2007 and after 2 years, here it goes..
so, my friends, my students, I've lost all ur phone numbers. They are inside that dead body of W850i. Please update me with ur phone number. Sorry for this inconvenient situation. alahai kesiannyee.. tunjuk la gambar hp baru ko tuh..